Round 11 of the MOTUL FIM Superbike World Championship will be a special occasion for Loris Baz (GULF Althea BMW Racing Team), as he returns to the Circuit de Nevers Magny-Cours for the first time since 2014. 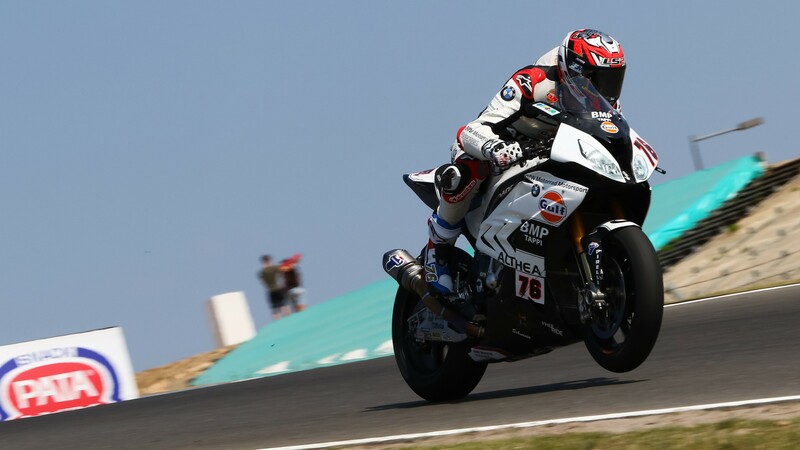 The BMW rider faces his homecoming in form and more determined than ever as the WorldSBK paddock heads into the final European round of the year. Last round Baz managed his best result of the season, claiming an impressive sixth position in Race One in Portugal. The Frenchman followed it up with a ninth-place finish in Race Two, completing his best weekend on the S1000RR and moving back into the top ten in the championship standings. The 25-year-old has not always had the best of luck when riding at his home track: with the Kawasaki Racing Team he achieved a best result of fifth in 2014 and missed the two 2013 races through injury. This will motivate Baz ahead of the weekend, already determined to make it into the top five for the first time on his current machinery. Will he find an ally in the unpredictable French weather? Baz definitely hopes so: "I’m looking forward to the French round, as it’s always special to race at home. I haven’t ridden at Magny-Cours for a long time but it’s a great track. Having said that, I’m doing a rain dance because a little wet weather would actually help us. I’m pleased to head there following a strong event at Portimao, and we hope to finish the European part of the championship as well as possible”. Catch all the best action from the Acerbis French Round thanks to WorldSBK VideoPass.